When most people think of civil rights activist Rosa Parks, we often think of one thing: her refusal to give up her seat for a white man on a bus in 1955 Montgomery, Alabama, despite city segregation laws that stated black people were required to do so. Though Parks' act of civil disobedience defined her legacy as the "mother of the civil rights movement," it was just one of many steps that this activist took to fight for equal rights for black Americans. 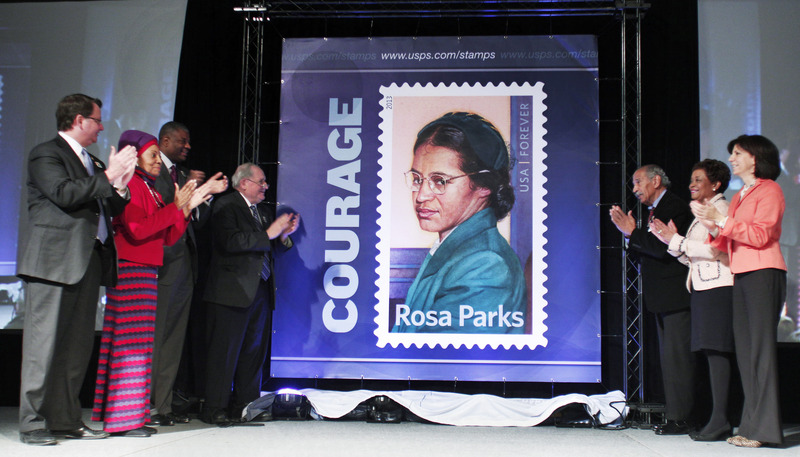 Now a new musical based on Rosa Parks' life is in development, and it could provide the education that people need on the story of this incredible woman. As reported by Playbill, a new musical based on Parks' story is currently being developed in London, and it will focus on way more than just her one act against the status quo. According to the report, the new musical will span a great number of years in Parks' life, beginning with her beginnings as a "quiet seamstress" and moving into her active role in the civil rights movement. It's the kind of long-spanning musical that people, particularly children, deserve to see: though Parks refusing to give up her seat on the bus is what defines her, she wasn't merely a frustrated woman looking to stay put. She knew that she was making a huge, powerful, and potentially dangerous decision with her refusal to budge and it's one that helped launch the civil rights movement of the '60s. Parks was jailed for her refusal to change seats on the bus, and her arrest launched the Montgomery Bus Boycott, led by Martin Luther King. Seventeen thousand black citizens refused to step on the bus after Parks' action, and a Supreme Court ruling forced the city of Montgomery to desegregate its public buses. At the time of her arrest, Parks was secretary of the Montgomery chapter of the NAACP, and continued her role as an activist well after the bus boycott ended. Though it's unclear how deep into Parks' life the new musical will go, it's important for any show on her life to establish a big picture of who Parks was — her advocacy didn't stop with her bus defiance. Few women are as inspirational as Parks, so here's hoping that the new musical does her life justice.